Here we'll try to give you everything you need to know when you land. There are two Paris airports — Charles de Gaulle (CDG), northeast of the city, and Orly to the south. Orly was the original airport in Paris but today is used mostly for domestic flights. Charles de Gaulle Airport (also know as Roissy, for the nearby town), is where all flights from North America arrive in Paris. 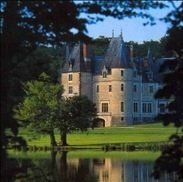 It's at this airport that you will go through customs, pick up your luggage, and catch vehicle or train transportation to Paris. If you're traveling with small children or if you are disabled, you can move to the front of the line at Paris airports. Look for an airport worker or official and explain (gestures also work). 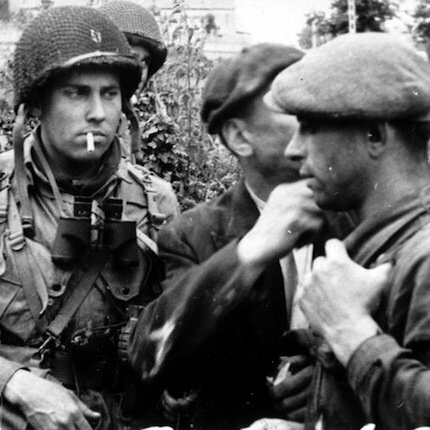 It's a nice French custom and people will make way for you. CDG is the biggest airport in Europe, and one of the busiest in the world, with over 70,000,000 passengers going through its terminals every year. (And we're some of those!) Although there have been improvements in recent years, the passport control line-up at Charles de Gaulle Airport can still be long. Don't worry, though, the line usually moves fast. Just make sure you're in the right line. There is one queue for EU Passports (European Union) and one for non-EU passports. Choose the non-EU if you're from the US or Canada or Australia, etc. CDG is a sprawling airport with a confusing number of terminal designations, from Terminal 1 to Terminal 2A through 2F. Terminal 2, in fact, is really a collection of seven terminals, with a few extras sub-designations like 2F-1 to make matters even more confusing. 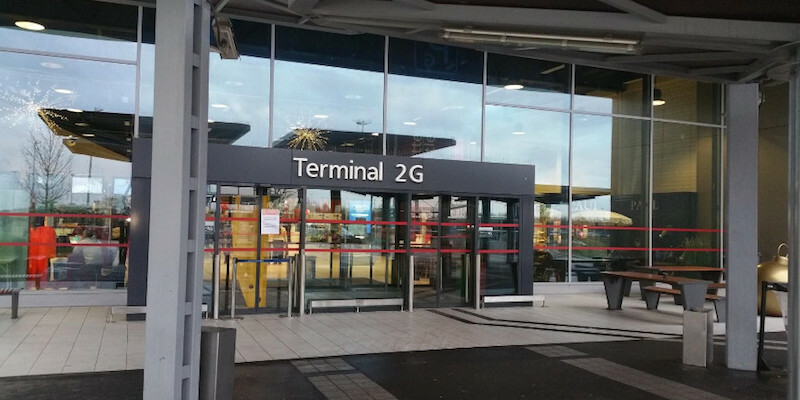 An additional terminal, S4, opened in recent years. It's connected to terminal 2E and also handles long-haul flights, particularly wide-bodied planes. It is used for flights by Air France and its partners. But, not to worry. Check your ticket information before you leave home to find out what terminal your airline is using. Most North American airlines generally arrive at and depart from terminal 2A, and that's an okay terminal, easy to get around. We still use and recommend Air France, which flies out of the newer 2E. If you've arranged to be met by a shuttle van or private car they'll know where to find you from your flight number. A private driver will, in fact, meet you at your exit gate. 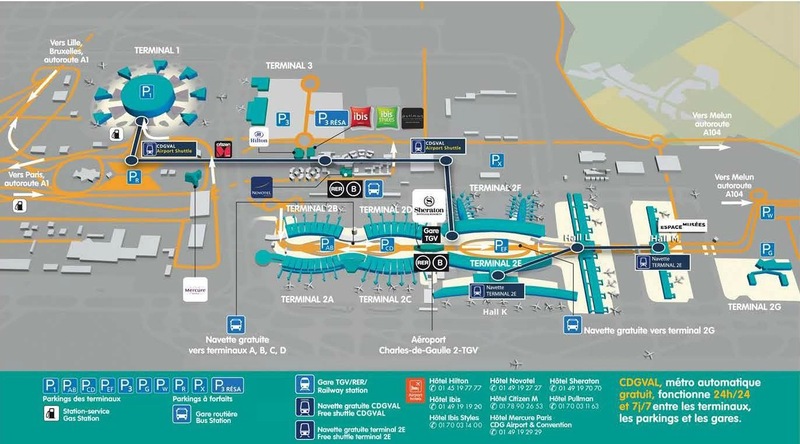 We find the new terminal maps at the CDG website to be very helpful. To get there, follow the directional signs inside the airport and you will end up at a bus stop, where you can catch the free shuttle to 2G. You don't need to worry about your luggage, it will be automatically transferred. 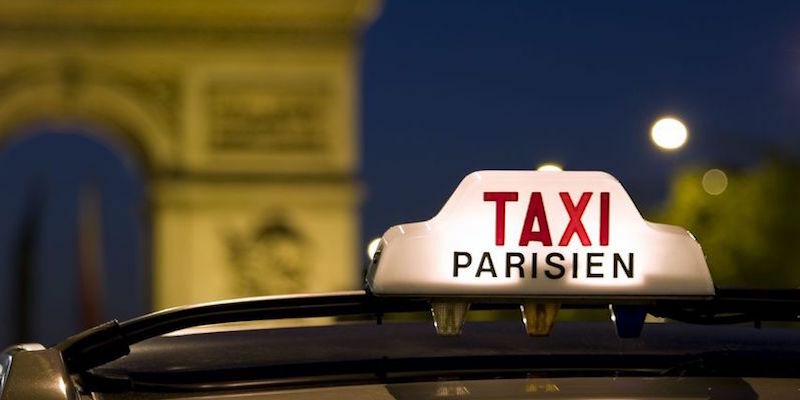 Taxis are the most common means of getting from the Paris airports into the city. 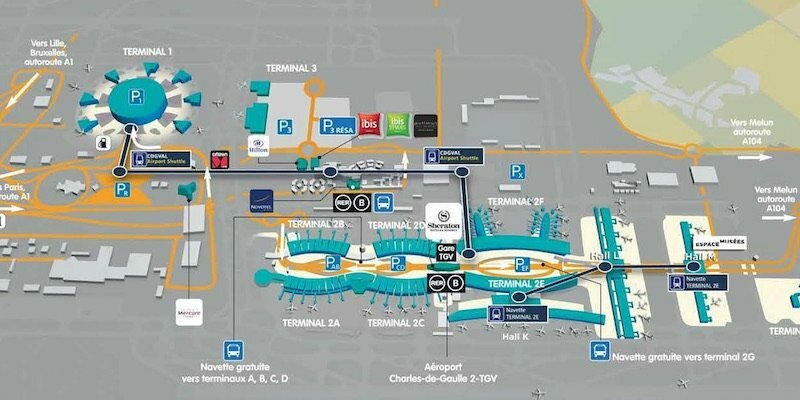 So, before you leave home read our complete guide to catching a taxi at Charles de Gaulle airport. Then travel easy! Have an early flight or an unexpected delay? 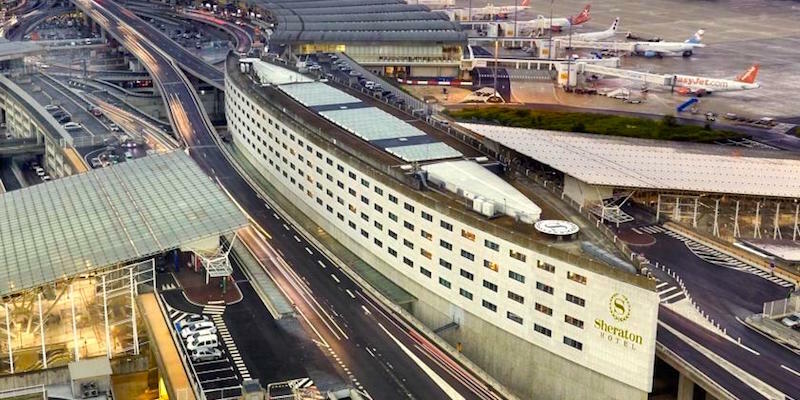 The good news is that the best Paris airport hotels are convenient, stylish and affordable.